Honor, an Andreessen Horowitz-backed company focused on caring for seniors as Baby Boomers tip over into retirement, is making its contractor workforce into a full-time one. The care workers, called CarePros within the company, will have the potential for stock options. In a post-Uber world, one of the defining characteristics of technology companies that use software to more efficiently allocate service workers is a two-tiered labor structure. One part contains the engineers, executives and product managers that build the platform, and the other part contains a much larger mass of contractors. The first part is compensated in stock, which could be worth nothing or a lot, depending on the outcome of the company. The second part is paid by the gig or the hour, and receives no benefits, workers’ comp or unemployment insurance. It’s a structure that has provoked an unnerving debate about what worker protections and benefits should look like in the future, especially if there is a much bigger freelancer or gig-based labor force going forward. More unsettling is the reality that contractors tend to be much more socioeconomically diverse than the full-time employees in the tech companies themselves. 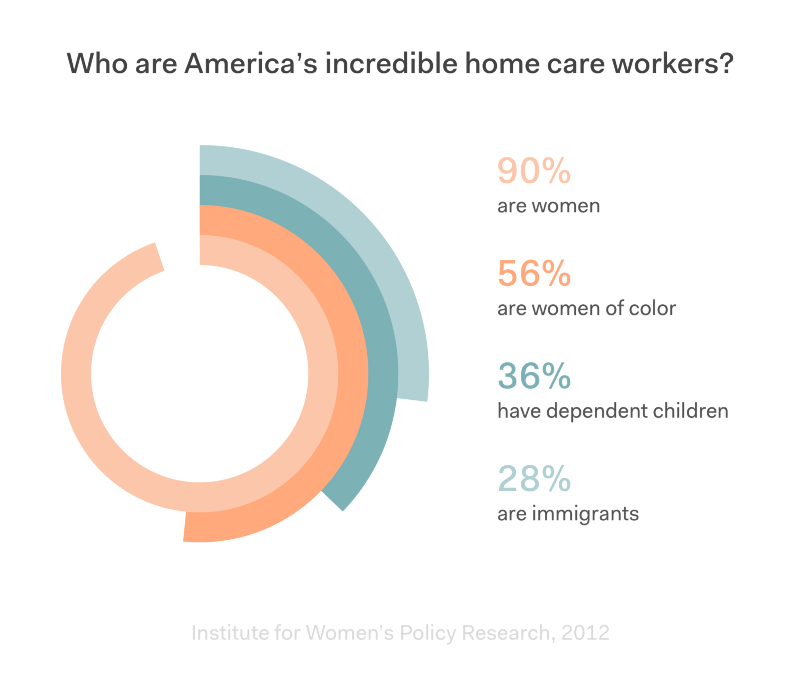 In Honor’s case, 90 percent are women and more than half are women of color. One-third of them have dependent children and more than one-fourth are immigrants. No other on-demand tech company that I can recall has ever released racial or socioeconomic data on its contractor workforce. After class action lawsuits helped tip YC-backed cleaning company Homejoy over into failure , several other tech companies like Shyp and Luxe made their contractors workforces permanent. Labor misclassification lawsuits can be quite expensive; FedEx paid a $228 million settlement over the summer. Sternberg said none of these pressures influenced his decision. He said he felt comfortable making the decision after realizing turnover in the CarePro workforce was much less severe than he thought it would be. The other piece that makes Honor’s business unique from other on-demand companies is that this type of work isn’t really fungible. You can’t replace a care worker with another care worker as seamlessly as you can move from one Uber driver to the next. Care workers often have long-term relationships with families and sometimes, they’ll need special training to work with medical conditions or specific care and feeding routines. “With contractors, we can’t do training,” Sternberg said.